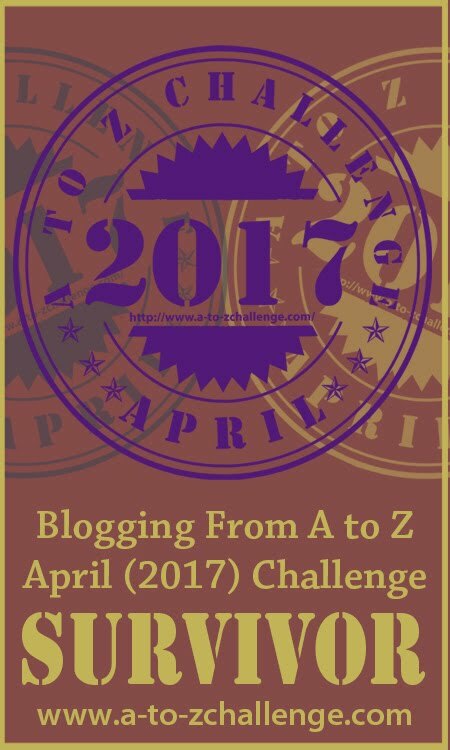 Blogging from A to Z April Challenge: What you can do RIGHT NOW to Ensure a #atozchallenge WIN?? 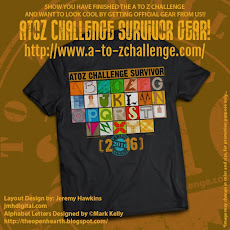 What you can do RIGHT NOW to Ensure a #atozchallenge WIN?? 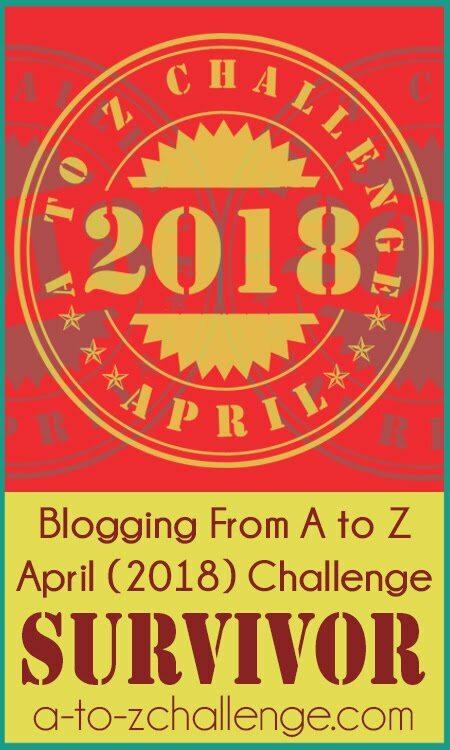 You're all signed up for the A to Z Challenge. (If you aren't, go on, run and do it, I'll wait.) Now you must be thrilled you've done your bit for your blog by entering it on the list. You can relax till April. NOT. I have news for you. To get the best out of a bloghop the size of a T-Rex on steroids (just go look at the sign-up list now to see what I mean), you need to put yourself and your blog on steroids, right away. 1. There are no rules stating you should start blog visiting in April. Start with the list now, and if you visit and Comment on 5 new blogs a day, you would have covered at least 250 by the time the challenge comes around. This challenge is all about building a community, and schmoozing with other participants will guarantee your AZ posts hordes of comments come April. 2. Preschedule your posts now, so you can focus on comment love in April. Even if you can't be online during some of April, that's no reason to be discouraged. Point 1 above will ensure your blog remains active with comments even on the days you're away. 2. 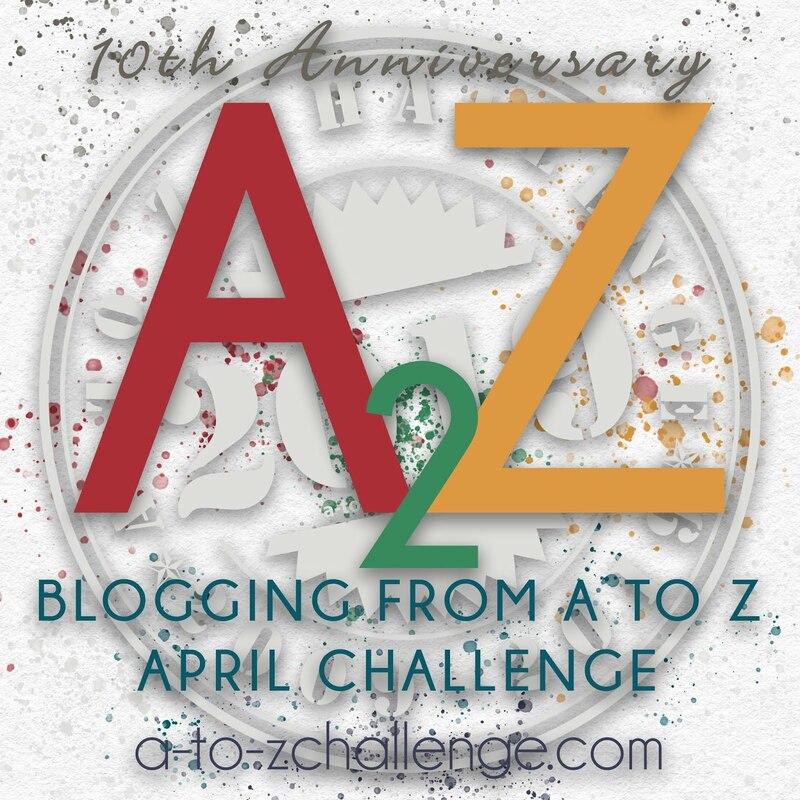 If you're on twitter, tweet your posts using the #atozchallenge hashtag and comment on other posts that use the same tag. 3. Follow @AprilA2Z and better still, follow other participants on twitter. It's easy to do if you start following the peeps on this twitter list. If you're not on this list, tell us on twitter, and we'll add you. 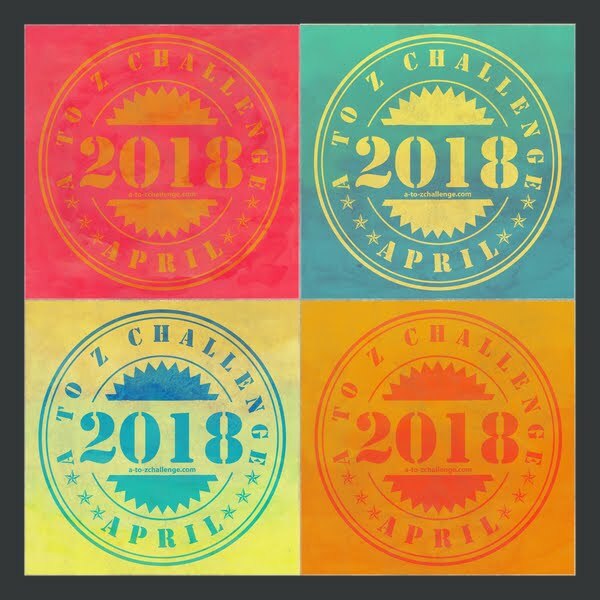 Discuss the #atozchallenge themes, compare how many posts you already have scheduled, cheer on other participants. Mingle. 4. 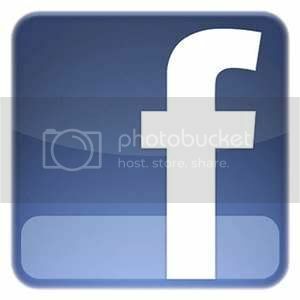 Talk about the challenge on your blog, on Facebook and Google+ and any other social media you're part of. The higher the buzz about the challenge on your blog and on these media, the more visitors you can potentially attract. Tag friends, start a discussion. 5. Check your blog. Is it easy for a visitor to comment or do they have to sign up on some vague machinery to do it? Have you turned off CAPTCHA ? If you are a challenge veteran, and have something to add to the above list, fire away in the comments! Good pointers - it might be an idea for people to check if the blog is of interest assuming some people have chosen specific topics. Also a good idea to remind them about hyperlinks. Excellent pointers! Yes, plan now, folks. All good advice!! I like checking out other blogs; I've been trying to do it, but five blogs a day is definitely doable at this stage of the game! Are you going to be putting up another calendar this year, so we know what day corresponds to what letter when we're writing posts? That's easier that figuring it out by hand oneself. Awesome list! Once I'm done with my tour, I'll start prescheduling posts. I like to have them all done before April so I can spend the month visiting other participants. Nice to see this informative post. Great tips here for the A to Z Participants. Yes, Well said, few from the list I am already following. Though I am not a challenge veteran, I would like to add one more point here. It's good to inform friends and relatives those who are not on the social sites via phone, or via emails. This will catch their attention to drop in. Have a wonderful time of blogging ahead. Great advice! And I agree, we should start visiting participants now...hey, many of us kept visiting people last year, well beyond the month of April. Makes perfect sense to start early. Thanks for this! Having done the A-Z for the last two years ... I'm with it !! All good pointers, from Damyanti to our faithful readers. I think the most important thing to remember about a T-Rex challenge like this one (love the analogy OYT LOVES dinosaurs even at 13. He just knows so much more about them now...)is that it's NOT "A Field of Dreams" where "If I sign-up, they will come." Nope. It's "if I visit, they will come." Glad to hear people understanding that! I need to limit the blog hopping I do at the moment I'm getting too intimidated. I've been to about 50 blogs so far,it seems everybody is a writer except for me. Add to the equation my blog centers around sketches and paintings I do and I have my hands full. Good points and I can sympathize with some of the commenters. I like the idea of visiting blogs on the list ahead of time. It will also help to determine which blogs I want to faithfully visit during the challenge. Last year I was a little smarter than the year before as I did start pre-posting. This year I have to as I will be on vacation out of the country during one full week of the A-Z. Thanks for all the help Damayanti! Some great ideas here. Last time I wrote day by day. Even a bit of planning out topics would make life a easier. Also, is there a suggested start time zone for the day. I am in New Zealand, and we are 21 hours ahead of California, virtually an entire day. Great idea. I would love to get ahead on the commenting because I always feel so guilty when I start falling behind there. I think I'll visit the people I linked to last year and see if they are AtoZing this year :).. and then start on your great idea of a pre-visit! If anyone remembers Victor, my guinea pig, he is resting this year - but he still blogs! Last year I was talked into joining at the last minute since I was still new to blogging in general. Even so, I planned my A-t topics ahead of time, although I write the actual pieces on a day-to-day basis. This year I am hoping to not only do THAT, but also to have them written and scheduled in advance. Definitely the way to go! Great advice on this! Thanks, all you guys, for dropping by. I'm not online most of the time this week -- so I'll just address the points raised. Yes, visiting ahead and planning posts ahead, are both good ideas-- and even if you don't visit the entire list, Some is still more than, and better than, None. You can find the A2Z calendar on the FAQ page, if I'm not mistaken. As to posting, Rhonda, post on the date as it is for you -- I'm in Singapore, and end up posting before most people. As long as the alphabet matches the date on your post, you're ok, even tho you might run ahead of most people. We'll only remove people from the list if they haven't posted in quite a few days in April. Lastly we welcome all categories of blogging -- so if you don't see too many in your category, Bill, the best remedy is to ask kindred folks to join. A lot of bloggers tend to be writers, but don't let that discourage you. a few questions - where do you put the A2Zchallenge hashtag? I am new to this twitter thing? do i put in the title, at the beginning or end f the post? Great Post. So thankful for the veterans! Couple questions: Originally when I signed up I didn't list a category or Theme. Do I need to do anything or officially let anyone know? Also, are there any self hosted WP users here? I'm having some Prescheduling issues. If so, and if you think you can help- please hit me up! Thanks Damyanti - great post. Someone said in these comments about impossible to visit all blogs; of course this is impossible. As per A-Z blog hosts tips, check out the posts before and after yr position on the A-Z and leave comments there. And it is fun to jump around and find others ..
Susan Schwartz (friend) in Phoenix. Az and I (in Johannesburg South Africa) will be partaking in this blog challenge and each will write on alternate letters come April. We're writing on 'Aging & Becoming'. Thank you again.